In his latest column for Motorsport.com, defending IndyCar champ Scott Dixon admits he’ll probably have to relinquish the title, but still hopes to win races and score his 10th straight top-three finish in the championship. It’s just one of those years, I guess. No good moping about it. Since I last wrote a column, we’ve had Iowa which was decent – we got a podium. Toronto we should have won but had the caution flag come out just when we didn’t need it. And Mid-Ohio? Well, that depends on perspective, doesn’t it. What I do know is that we can’t just blame that one on bad luck. It wasn’t a mechanical issue like we had in Road America, or a badly timed yellow like in Toronto. For one thing, we shouldn’t have been in that situation at Mid-Ohio where we were having to go off-strategy on raceday. Had we not made a mistake in qualifying by pitting just as the track was speeding up, we wouldn’t have had to start 11th on a circuit where it’s so tough to pass. And even starting mid-pack didn’t need to be a total disaster – we’ve won from the back at Mid-Ohio before now. But unfortunately we had that incident with Helio [Castroneves]. I should take partial blame just from the perspective of not recognizing who I was racing and driving accordingly. I made that same Turn 2 move on James Hinchcliffe four or five laps earlier and also Juan [Montoya] and Josef [Newgarden] later on after my car was repaired, and those passes went smoothly. Whoever you choose to blame on that occasion, it’s fair to say that this year, I don’t think we’ve always executed to Chip Ganassi Racing’s traditionally high standards. So I think maybe this ‘down’ year will re-motivate all of us, give us some perspective, and make some adjustments. You know Chip; he hates not winning, and when he knows the potential of this team and what we’ve achieved in the past, he’s right to say there’s no reason why we shouldn’t be able to keep solidly repeating that kind of performance. I think my #9 team has had fantastic speed just about everywhere we’ve gone – well, everywhere except for Indianapolis – but we need to execute better. Compare our situation this year with Penske’s last year. In 2015, Penske were very fast in qualifying all the time, but only got three wins and we beat them. 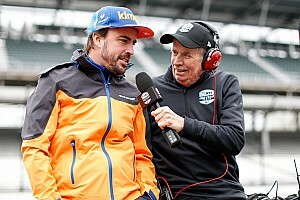 This year, they’ve converted that pace into results, and even when they haven’t been fastest, they’ve won or rebounded well, especially with Will [Power] and Simon [Pagenaud]. Whereas this season, at Ganassi we’ve had really fast racecars a lot of the time – probably more consistently than in 2015 – but we often haven’t turned that into results. That’s the difference between last year and this. To put it into perspective, it’s not a total disaster. We’re still quick, which means we’re getting a lot right. But that makes it extra frustrating when you can’t get the job done on the points table. So what now? I like to think that we never really change our style too much: the first race pays the same as any other race except Indy… and Sonoma. And when you’re a Ganassi driver, you go to every race with a great opportunity to win, and that’s what we always try to do. None of us are going to races thinking, “Let’s really aim to finish third.” We’re not points racers. So I don’t think you’ll see a big difference in the way we go racing over the remaining four races. 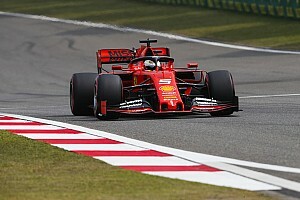 Maybe if we were leading then, OK, in risky situations in qualifying or when we were looking at a 50/50 kind of pass on raceday, maybe we’d back down a bit. Whereas now, with a big points deficit, we don’t have anything to lose. But we’re all experienced on the #9 car and I don’t think we take any crazy risks anyway. When we take risks, they’re calculated and based on judgment and instinct and experience. Looking at the remaining races, I’m confident we’re going to be fighting for victory at Pocono, Watkins Glen and Sonoma. We’ve won at all of them in the past. The question mark is over Texas. It sounds strange to say the Texas race is a bit of a mystery, when we’ve raced there more recently than any of the other tracks. But those first 71 laps aren’t going to mean much because of the different conditions. An evening in August is going to produce very different conditions than the June afternoon. How much will the tires fall off? In June, it was dramatic, say 30-35 laps whereas you could probably make it into the high 40s on a tank of fuel. 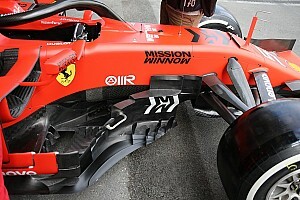 So we will probably have tire degradation determining when we stop, but will it be different from how it was in June? We don’t know. 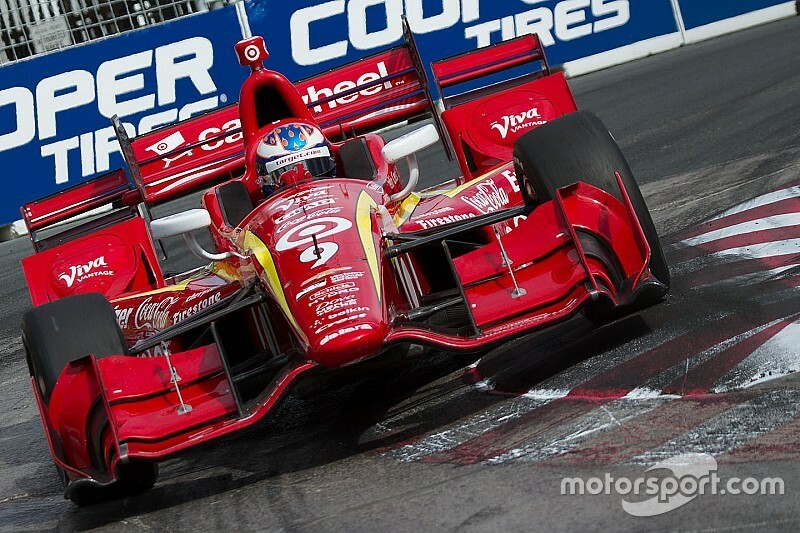 And now myself and my teammate Tony Kanaan are starting 14th and 16th… The tires are going to go off in traffic quicker. As I’ve mentioned before, I don’t agree with us restarting the race from Lap 72. I think as a series we should have had a full race to 1) help the promoter, 2) be good to the fans who were robbed by weather last time out, and 3) not hurt the drivers who had already stopped. Now with everybody getting new tires and full tanks the guys at the front now get a free pass because we’re all in the same boat. Myself, TK and Pagenaud have ended up quite a ways back for the restart because we went through the debris from the Josef Newgarden/Conor Daly accident. 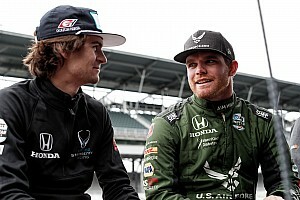 I realize it would be almost impossible for IndyCar to know how much fuel everyone had when the race was called – but that’s another reason why I think we should be starting over with a whole new race in August – and therefore allowing Josef and Conor to start. Yeah, that would mean new cars for them, and some people would say that’s not fair. But let’s be honest: for a lot of drivers out there, it’s not like we’re going to be running the same tub or the same engine as we started that race with back in June, so why not allow two talented young Americans in with new cars and everyone gets to start over? And if you get beaten by them, well… you just weren’t good enough on the night. The front two in the championship, Pagenaud and Power, have definitely stretched away, but we’re still very much in the running to keep our streak of top-three finishes in the championship alive. We’ve just got to make the most of the last four races, which means getting into Victory Lane. Someone pointed out to me that 2005 was the last time we scored only one win in a season, so there’s another streak we want to keep alive – multiple wins for 11 straight seasons.